Little Gems Day Nursery has been specially designed to incorporate bright airy rooms with a beautiful enclosed garden at the back. The nursery is run by fully qualified and experienced staff dedicated entirely to the care and growth of your child. We specialise in children between 3 months to 5 years old offering a range of fun and educational experiences. 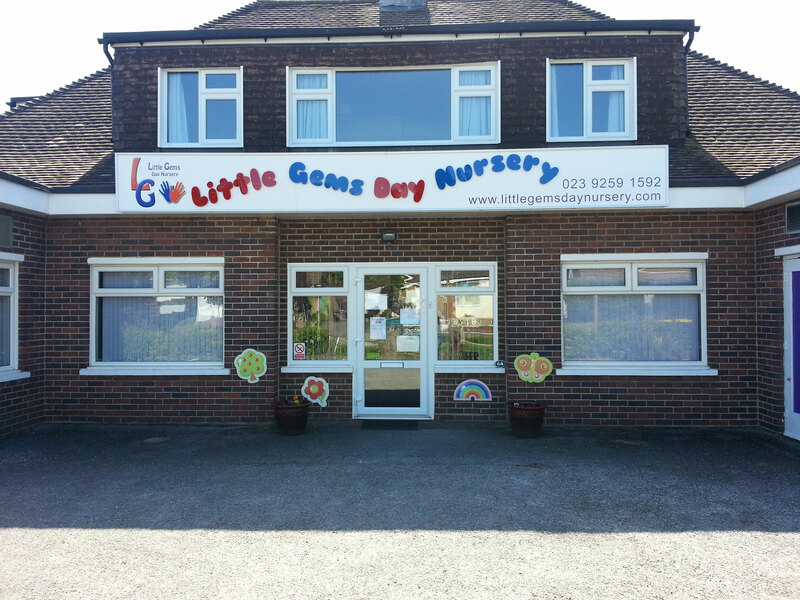 Little Gems Day Nursery is open 51 weeks of the year. (Excluding bank holidays). The nursery closes at 1pm on Christmas Eve and re open in the New Year. 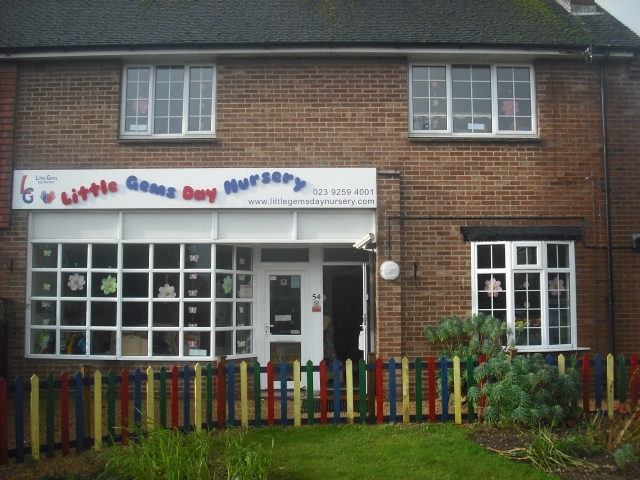 Our Clanfield nursery is located about 5 minutes from the A3 in a quite, peaceful village. It has a beautiful enclosed rear garden featuring the constantly improving sensory path taking your child through a assortment or different materials and textures to many different activity areas around the garden. This could be anything from Pets Corner to the construction site or even just the reading area. Your child has a wide choice of activities for them to choose from. 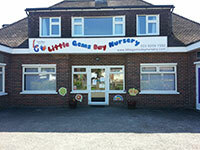 Our Cowplain nursery is located just off the A3 in a quaint neighbourhood. This is our larger nursery allows for up to 50 children. An enclosed garden will allow your child to play freely outside when the weather is hot or splash in the puddles in a down poor, each experience crucial to their personal development. Ample amount of space inside the nursery means that your child has room to grow and develop with a large variety of toys and activities setup to enrich your child and encourage interaction with other children. 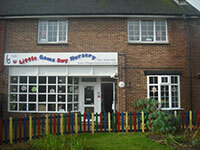 Our Petersfield nursery is located about 5 minutes from the A3 in a historic town. It has a beautiful enclosed rear garden. Your child has a wide choice of activities for them to choose from. 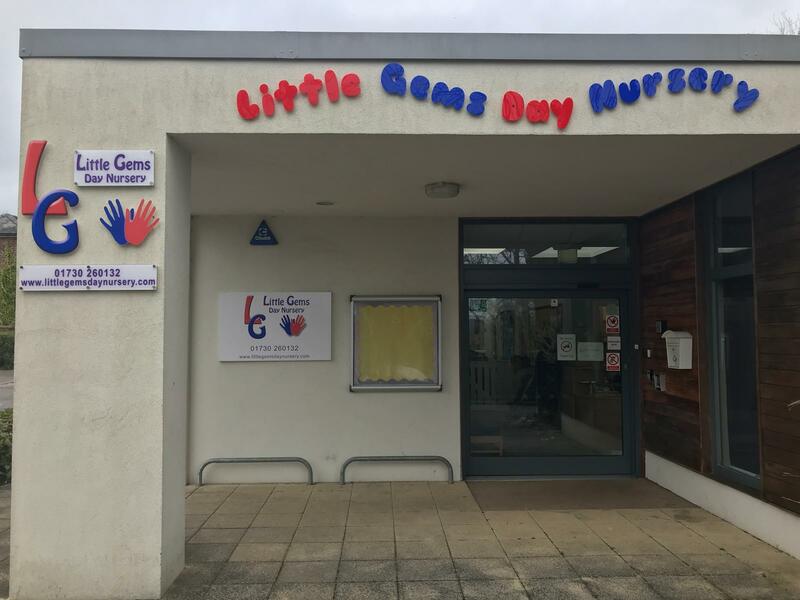 © 2019 Little Gems Day Nursery.